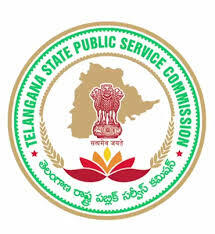 TS FBO GK Paper Answer Key 2017, TSPSC FBO Answer Key Paper Download of Eenadu, Sakshi, TSPSC Forest Beat Officer Answer Key Paper 2017, TS Forest Beat Officer Answer Key 2017 – Telangana Public Service Commission (TSPSC) has conducted written exam of Forest Beat Officer exam on 29th October, 2017 at various centers in Telangana. A lot of Aspirants have appeared in the TS FBO exam, they all are waiting for Answer Key Paper to determine how many marks scored in the test. Here i am sharing TS FBO GK Answer Key Paper 2017 and Solved Question Paper collected from internet sources. Official answer key not yet released but some educational institutions are providing guess key paper. you can download these key papers from this page. Which is the major source of irrigation in Telangana during the last 15 years? In how many districts of Telangana, the worker's dependence on agriculture is very high to the extent of 80 percent or more? Social reformer who laid firm foundations for religious and social reform movements in Kerala is/ was? The social reformer, who, in recognition of his remarkable services, was awarded and honored by the Government with the title of “Bharata Ratna”? The person who played a prominent part in Andhra Mahasabha and Telangana Peasant Movement was? The editor of newspaper Vande Mataram was?